"Specific Markets and Venues for Buying and Selling Art"
Most artists (especially those that are deceased) have both a primary market and a secondary market. Primary means it is the first time a work of art is sold. Secondary means the second or any subsequent time that it has sold or changed hands. It is prudent to review both markets for a given artist, in order to understand the artist’s pricing structure and thereby validate a price before you pay it. Seasoned collectors may be able to do this for themselves to some degree since most auction houses post their sales results on their websites for public reference. There are also services that aggregate worldwide auction sales data, usually available for a fee, such as Artnet, ArtPrice, AskArt, Blouin Art Sales Index, and LiveAuctioneers. Comparing these markets is not always easy for the beginning collector and nuances abound, so call a professional appraiser when you want a neutral third-party expert opinion on a price – they can research an asking price for you before you buy. A good resource for identifying an art appraiser who might best fit your needs include the Appraisers Association of America, established in 1949, which has a membership of over 700 independent appraisers in 100 different areas of specialization. You can search for an independent art appraiser through the search tool on AAA's website. There are almost as many venues to acquire art as there are types of artwork. Let's explore the primary methods and venues. More and more collectors are buying art online via platforms such as Artsy, Artnet, AskArt, Instagram, and gallery websites. While the traditional gallery space may not officially be an endangered species, it does currently face industry-wide challenges that require adjustment within a continually fluctuating landscape. The advantage of buying in a brick-and-mortar gallery include the opportunity to build a personal relationship with a gallerist. 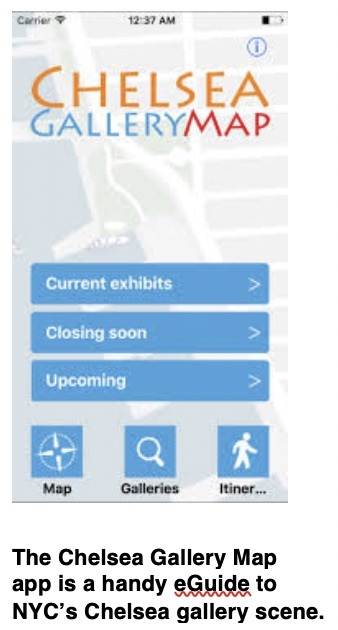 This can assure you receive up-to-date information on a particular artist’s work (including its availability), invitations to attend openings where the artists may be present, gain access to gallery inventory in the “back room,” and receive discounts for repeat business, as well as countless other opportunities. Philosophically, you may also feel positive about patronizing a business that pays rent and offers stability to its employees. Many galleries are also members of national organizations such as the Art Dealers Association of America (ADAA) and/or local organizations such as the Dallas Art Dealers Association (DADA), which ask members to adhere to standard ethical practices and professional integrity. Many galleries operate their business exclusively online and enhance their presence with social media activities, blogs, virtual exhibitions, and personalized emails and pop-ups based on your past online activities and preferences. Generally speaking, commerce appears to be brisk and more and more collectors are feeling confident in this approach to buying art. To this author, online buying seems most appropriate for works produced in multiples. In this instance, collectors are already aware of what they are interested in buying (having seen original examples of the work or similar work elsewhere) and the quality of what they are purchasing is not in question. Most online sellers require advance payment and also require the buyers to cover packing, shipping, and insurance for their purchases. The majority of the buying process takes place online via email (but gallerists should also be available by phone for more personalized interactions) and discounts are still possible. Notable and reputable high-end art fairs include Art Basel, Art Basel-Miami Beach, the Armory Show, Documenta, Frieze, and many others. Art Fairs have been booming over the past 20 years and many gallerists and dealers currently do the majority of their business on the sales floor at their booths in a convention center. These art fairs can be a fruitful opportunity for you to increase your collection, if (A) you are a seasoned collector who knows what you want, (B) you have the ability to make quick decisions, and, hopefully, (C) you do not routinely suffer from buyer’s remorse. For many collectors, however, there is a sense of pressure and competition in this format. If you prefer to take your time and do your research before buying, these fairs may be a good place to browse and learn, but not to buy. Caveat Emptor has long been a principle associated with buying anything at auction, but when it comes to high-value artwork, the novice needs to be particularly diligent. Opportunities can certainly be found, but the pitfalls of buying at auction are also numerous, and buyers should do a number of things to protect themselves and ensure quality in their purchases. If you have an art advisor or appraiser, they can assist in navigating the auction system. Items should always be inspected in person to fully understand the physical condition of the object, to review signatures, and to ensure the property is indeed as the auction catalog presents it. Obviously, works of art can be different in person than they appear in a photograph. The auction houses generally take a fee, or premium, from both seller and buyer, and the buyer’s premiums can be hefty at the higher end. Remember this as your winning bid is only the “hammer price”– your buyer’s premium will add 10-25% to your winning bid. There may also be other fees associated, so be sure to read the fine print (in the back of the auction catalogue) or ask a representative to address your specific questions. Be sure to ask in advance for a condition report on the item you are planning to bid on, as this can reveal previous repairs or weaknesses to the physical condition of the work. At higher end auctions, provenance is usually listed in the auction catalogues but not always. But be sure to ask about provenance if this is even a little unclear. These types of sales are often good places to buy both originals, or multiples, at the lower end of the price spectrum. Here, buyers are generally looking to acquire out of pleasure rather than investment. Original paintings by lesser-known artists, students, and out of trend items can usually be found for reasonable prices. Although a buyer’s premium will usually be added at any auction, at an estate or tag sale the price is usually marked, and often negotiable. But beware that sales are generally final. As with the higher end venues, ask if you have a question about condition or provenance, good vendors should be willing to tell you what they know— but many times information is scarce. Collecting fine art can be extremely rewarding in many ways. On an individual level, it plays a role in personal growth, and it can be a good investment down the road for your family. A little education and a trusted advisor can go a long way toward helping to avoid overpaying or buying something with unwelcome baggage attached to it. I hope you've enjoyed this 3-part newsletter to help you navigate the complexities of the art market. 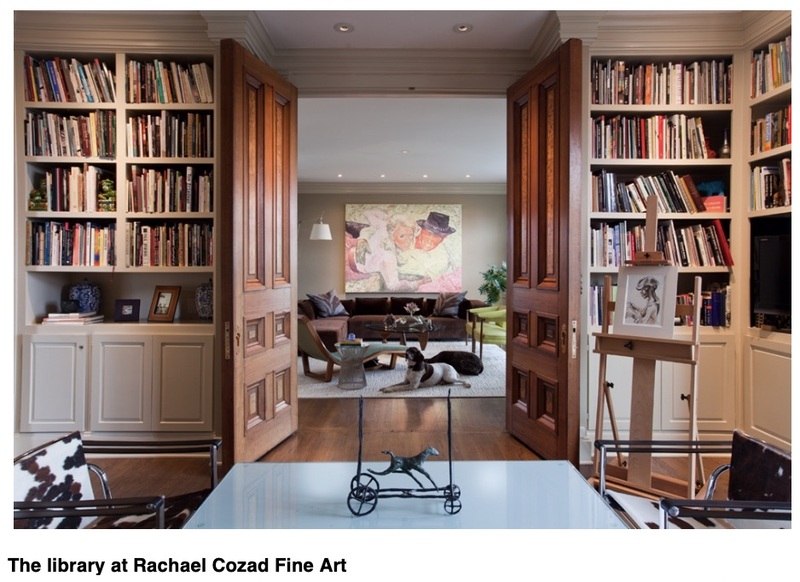 If you missed either of the first two parts, you can find the entire article on Rachael Cozad Fine Art. Thanks for reading! Rachael Cozad is a former museum director turned private art dealer, appraiser, and expert witness, based in Kansas City, Missouri. She is the owner and principal of Rachael Cozad Fine Artand Madison Group Fine Art Appraisals.